In just three minutes, the La Vergne Fire Department responded to an emergency call Tuesday morning at Miracle Baptist Church, located on Murfreesboro Road. A fire in the youth building was extinguished before it could spread to the main building of the church. The church was saved partly because of their own generosity to someone in need. Ronald Kehl had been given permission by the church to use the back parking lot at night to sleep in his van. He awoke early with heartburn, noticed smoke coming from the building, and called 911. 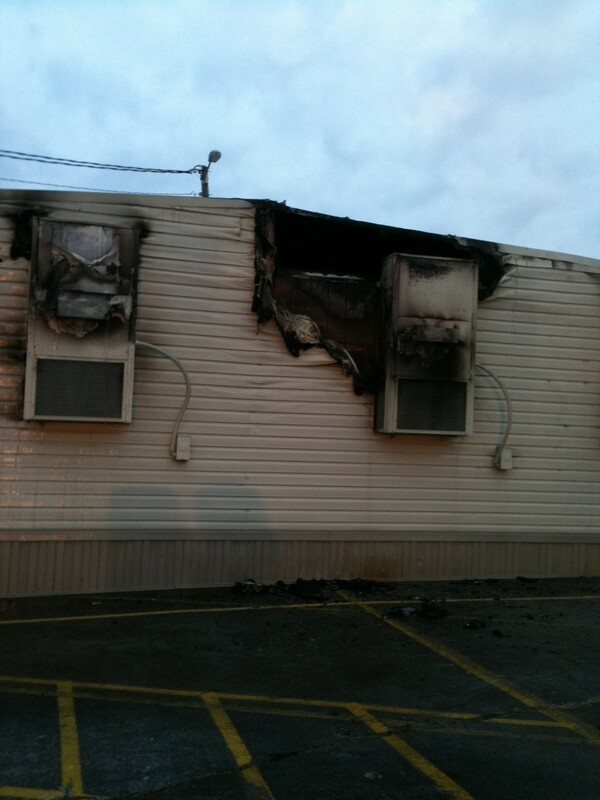 According to La Vergne Fire Marshal Victor Woods, the fire was caused by a malfunction in the building’s HVAC unit. No one was injured in the blaze. Mayor Senna Mosley and Vice Mayor Chris Farmer were on the scene as part of the city’s emergency response team. great job LFD and God bless the man who was sleeping in his van….